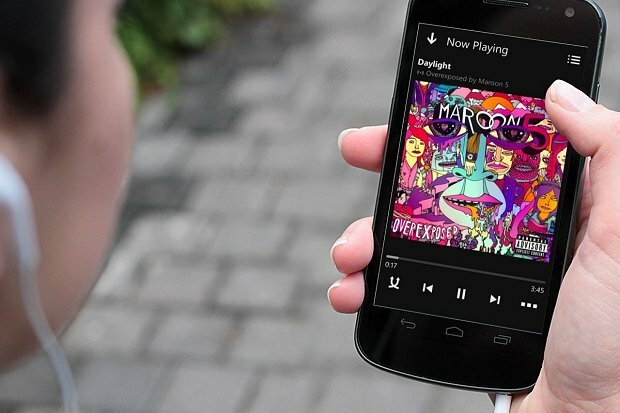 Unless you don’t work in the music business, or were on Mars for the past year, you’ve heard the news: streaming is on the rise. But, unlike downloads, which were more or less a transcription of the physical world into digital, streaming introduces totally different paradigms. Let’s have a look at them and their impacts on artists and labels. When you buy a physical or digital copy of an album, you buy it only once at a specific price. Then, depending on how much you like it, you listen to it two times or 1,000 times. With streaming, you no longer buy an album, but each time you listen to one, it generates royalties for artists and labels. These royalties are paid either by advertising (if you're using an ad-supported platform like YouTube, Spotify, etc. ), or by a monthly, paid subscription. In the physical/download world, the main goal is to get more buyers. In the streaming world, while you also want more people to listen to your music, you’re hoping these people listen to your music more often, too. We all remember the '90s, when we discovered a really good song on the radio, bought the album without listening to it, and the only worthwhile song from the eight or 12 tracks was that radio single. In the streaming era, this shouldn’t happen – you have access to whatever music you want, and, unless you are dedicated masochist, will theoretically only listen to the music you love. That’s a big difference; even if a hit single can always help build awareness, each of your songs has to be good enough to be listened to repeatedly. The second big change is you can release songs in the format you want and when you want. You no longer need to have a full album ready; each time you have a new song, you can – and should – release it “live,” and build awareness around it. This strategy makes even more sense for new and developing bands, as they can start to drive revenue with their first songs. Indeed, unlike download and physical revenues, where you see a big peak around release date (X buyers x $10), in the streaming era, even if there's a peak around release due to curiosity/promotion, you should continue to observe pretty decent and regular streams over time (1+1+1+1). In the download/physical world, release is the end of the process. For streaming, it’s just the beginning. As an artist or label, this translates into quite a big change in your cash flow, especially if you're used to getting substantial physical pre-orders. With streaming, you will need more time to recoup your initial investments, but revenues will last longer, and, as such, streaming adds value to catalogs on the whole. To capitalize on this, it’s a good idea to release new songs immediately, followed by remixes and B-sides to continuously build your catalog and, in turn, your long-term revenue. When speaking of promotion, I always picture this: before the internet, choices came from the top, and, as a consumer, you could only choose between what labels, radio stations, TV, and stores pre-selected for you. Now, with both the internet and growth of streaming, choices are increasingly coming from the bottom – the fans – through viral sharing, social media, etc. Of course, you still need people to love and pick your music to bring it to others – the bigger/more influential that “dude” sharing your tunes is, the better it is for your music. But, you don’t necessarily need to wait for the “Big Dude of the Music Biz" anymore. Everyone and anyone can help you spread your music by posting it on Facebook, Twitter, and adding it to their playlists. And, who knows, perhaps at the end of the day, the “Big Dude” will listen to your music and like it, too. One tip on sharing: Be emphatic. Think about what you would like to see from your favorite artists and labels on social media, and don’t hesitate to highlight other artists you like, known or unknown, and tag them. Perhaps they will also love what you do and return the favor. To conclude, I’ll leave you with this: Always be sincere and never abandon the music you like to try to please more people. If it’s honest, you’ll find your fanbase, and it will be more loyal and dedicated because of that honesty. Now, welcome to a world of profusion, and to the sharing economy! Philippe Giard is a senior client and interactive marketing manager at The Orchard.